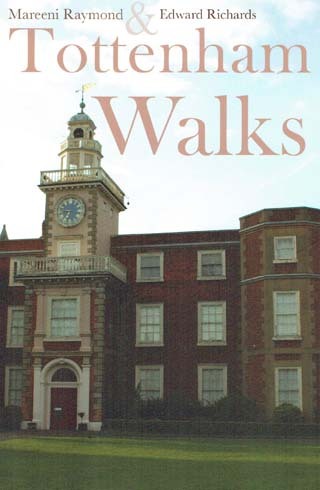 A book of four walks revealing the history, architecture and people of this historic part of Haringey. The walks are: 1. Parks and Marshes – Markfield Beam Engine and the Lea Valley; 2. Hidden Tottenham – Northumberland Park to Bruce Grove; 3. Bruce Grove to Seven Sisters; 4. Seven Sisters to St. Ann’s – Tottenham High Road and the West Green area. Mareeni Raymond and Edward Richards met in Tottenham and have settled there with their young daughter. They find it a fascinating place to explore and a brilliant place to live in. They have selected recent and distant history for their walks with the aim of giving readers/walkers an insight into the area they love.